Guest post: Why haven’t more women won ‘Top Chef’? There are a number of female chefs heading up the best kitchens around the world, but why is it that women are not getting the recognition they deserve on various cooking shows on television? Top Chef” has received two Golden Globes, and since its inception in 2006, has spawned several copycats on various networks. With its power to showcase culinary talent, the mystery remains: in its eight season run, why has there been only one female winner? Has the professional kitchen has become just another bastion of gender politics? For us it’s an emotional thing? Was she speaking of “us,” as in all of the chefs or was that just an inadvertent gender-bias faux pas blaming women’s “feelings” as the reason female chefs are prone to “mess up”? “Top Chef” is a competition to see who could produce the best meal, not a contest to decide who was more emotionally involved in the process. Since the dawn of time and the discovery of fire, it has been the accepted balance in a kitchen that men bring home the bacon and women cook it. With the emergence of the women’s liberation movement, women have sought to erase the black-or-white attitude toward socially established gender roles and pushed men to, among other things, learn how to cook the bacon themselves. 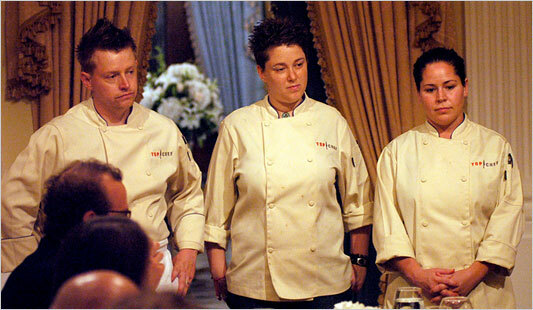 So, why don’t women win “Top Chef”? Could it be because women cook from the soul and not from the ego? Could it be because women and men cook differently? Since the beginning of time, food has been centered on more than just the feeding of one’s body. Cooking has been and still is a way to nourish our souls and relationships around the dinner table. For most female chefs, this is still at the center of their core values in the kitchen. And because of this, women tend to use their hearts to deliver their best dishes. 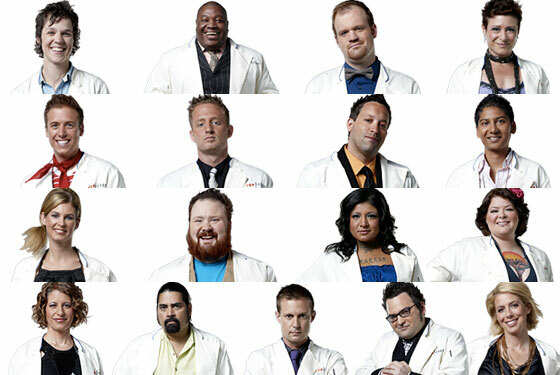 The Top Chef competition is intense, and can at times seem overwhelming. With such pressure put on contestants the kitchen can get a little heated, and when its hot a woman knows when to get out of the kitchen.